Raytheon update: Pre-mission analysis indicated this would be the highest intercept to date, but post-mission data shows the intercept was slightly lower than a prior mission. Regardless of intercept altitude, the system adjusted to the conditions it encountered to ensure the SM-3 intercepted the target. 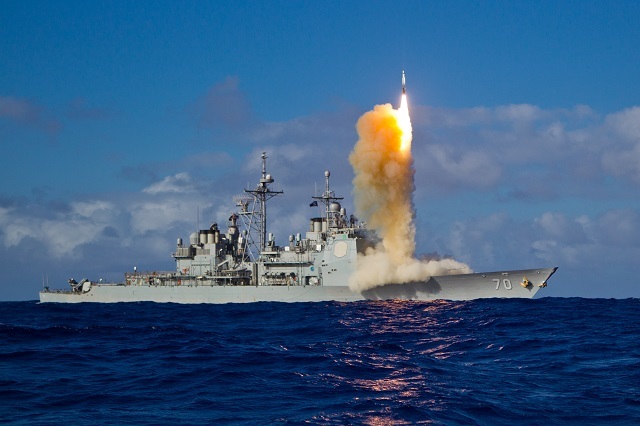 In a Missile Defense Agency test, the U.S. Navy fired a Standard Missile-3 Block IB, made by Raytheon Company (NYSE: RTN), from the USS Lake Erie. The SM-3 eliminated the medium-range ballistic missile (MRBM) target at the highest altitude of any test to date. "The next-generation SM-3 proved itself against a medium-range ballistic missile target at the highest altitude of any previous test. We remain on track to deliver this critical capability in time for a 2015 deployment in support of global combatant command requirements, and specifically phase two of the European Phased Adaptive Approach," said Dr. Taylor Lawrence, president of Raytheon Missile Systems. The test was the 26th successful intercept for the SM-3 program and the fifth back-to-back successful test of the next-generation SM-3 Block IB guided missile. 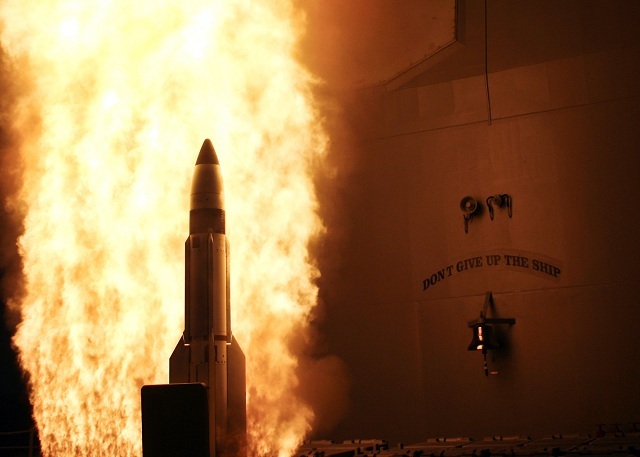 "This highest intercept to date is a result of increasing the complexity of the testing scenarios, reflecting what we would see in an operational environment," said Dr. Mitch Stevison, Raytheon Missile Systems' SM-3 program director. "The missile continues to perform, increasing confidence in the SM-3 Block IB's readiness for production." The SM-3 does not contain an explosive warhead, but instead destroys the threats using sheer impact, equivalent to a 10-ton truck traveling at 600 mph. » More than 155 SM-3s have been delivered ahead of schedule and under cost. » Raytheon is on track to deliver the next-generation SM-3 Block IB in 2015. » SM-3 Block IB will be deployed in both sea-based and land-based modes.